Eucalyptus grandis has a mixed-mating reproductive system. Malagasy Eucalyptus seed orchards were established 15 years ago with two aims both based on panmixia: open-pollinated seed production and genetic improvement. The panmixia hypothesis has never been confirmed in the seed orchard. From a seedling seed-orchard stand comprising 349 trees and using data obtained with six selected microsatellite markers, paternity analysis was performed for 724 offspring collected on 30 adult trees. Paternity assignment, based on exclusion procedures and likelihood-ratio method, was achieved with high accuracy; the exclusion probability value was 0.997. The outcrossing rate was very high (96.7%). 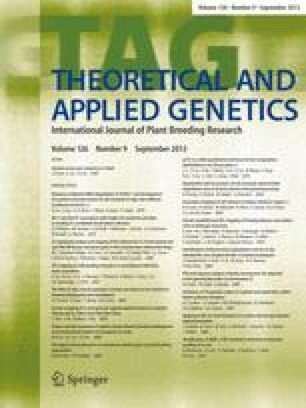 More than 50% of potential male trees (199 out of 349) in the seed orchard contributed to pollination for 440 offspring of 30 progenies (8.6% of the basic population). The pollination rate from outside the seed orchard was high (39.2%), but might be due to the small size of this seed orchard. This study showed that "panmixia-like pollination" can be assumed. This paper represents a portion of the doctoral research of G. Chaix supported by the Scientific Directorate of Cirad (ATP Vergers à graines) and by Cirad-forêt. We wish to thank F. Rasolo, Y. Rabenantoandro, H. Randrianjafy (Fofifa), G. Rabetsoa (Fanalamanga) and A. Charrier (Ensam) for agreeing to conduct this work in Madagascar, J.C. Maillard, I. Chantal, M. Poitel and S. Razafiarivelo for their help in the laboratory, and J. Rakotonjanahary, N. Ratovoson and J. Rakotondrasoa for their field work.